From the Home screen, select Wi-Fi. Ensure the appropriate options are selected then click Apply. No Wireless security is possible. Wireless security must be enabled. Security is enabled, and the network name (SSID) and security key are auto-generated. Each profile must have a unique name. 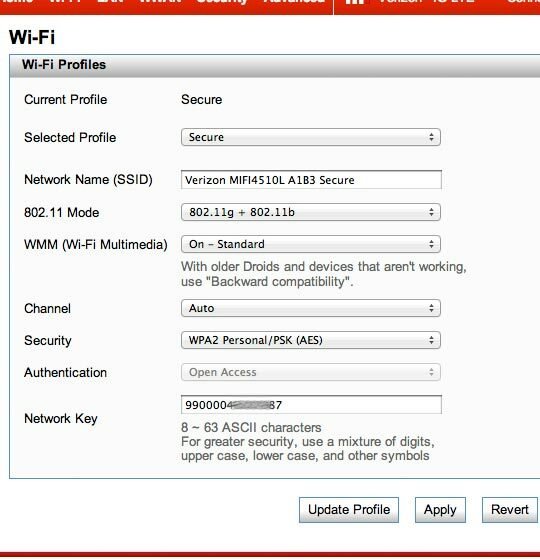 WMM is mandatory if using 802.11n. If available, the Auto setting is recommended. 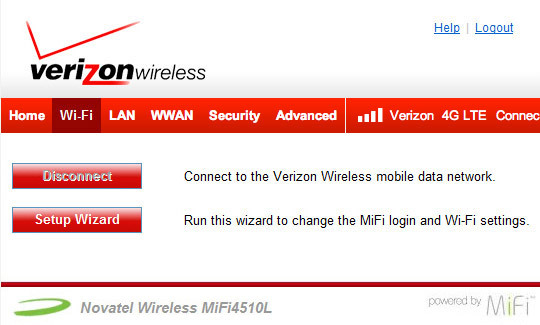 The password to access the Wi-Fi network depends upon the Security option selected. WEP 64-bit - 5 ASCII characters or 10 HEX characters. WEP 128-bit - 13 ASCII characters or 26 HEX characters. WPA Personal / PSK (TKIP) - ASCII string, 8 to 63 characters in length. WPA2 Personal / PSK (AES) - ASCII string, 8 to 63 characters in length.